The dance drama on the life and activities of Lord Krishna. "Very nice Resort close to Nature. We enjoyed our stay a lot. Staff was very friendly. We will come back soon." 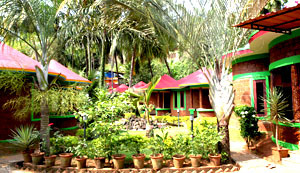 Surrounded by green hills and housed among tree-laden landscapes the stay in the Cottages can be a different experience. 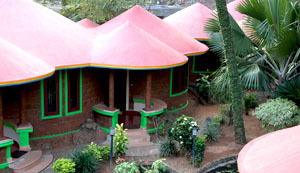 The cottages are beautiful, built in round shape considering all "vastu" aspects of construction, with clean surroundings, allowing enough light to pass and air to circulate, with coveted silence and privacy. These are attractive buildings with all modern facilities and spacious, lifting spirit of temporary inmates and energizing. The ambience is good enough to purify your heart and maintain the serenity. © 2012 Thai Resort. All rights reserved.